Architecture serves people. The environment you create can have a meaningful impact on the ways in which people interact, work and live. In the case of our Windy City Strength and Conditioning project, our job was not to create an environment or instigate a culture but instead protect it as we elevated the space to the best version of itself. 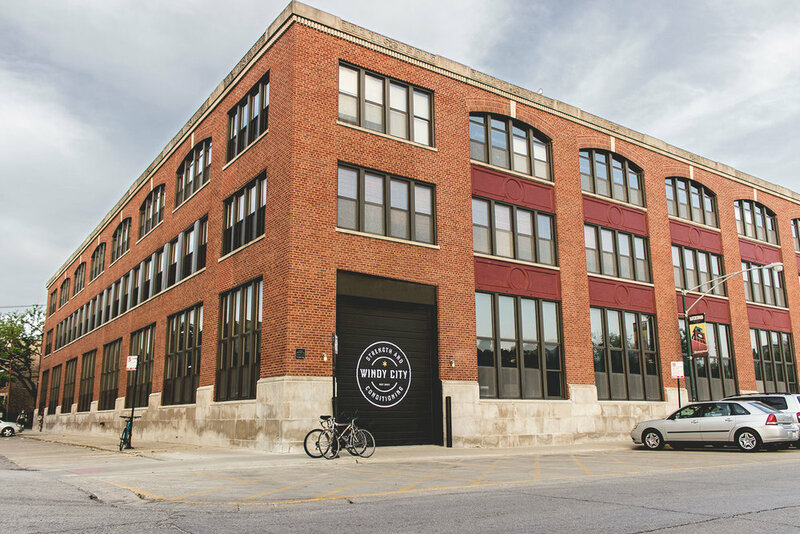 WCSC, the first and most successful Crossfit gym in the City of Chicago has achieved its impressive growth through a very simple and powerful concept - build it and they will come. In their case, what they set out to build was not something physical. It was a delicate balance of deliberate intangibles that has created a tight-knit culture. They shared their dreams, their vision and their belief to #liveBIG with Chicago and a loyal group of members followed...by the hundreds. Intervening into such a successful and delicate scenario was challenging. How does one improve and update an old concrete warehouse space without damaging the grittiness that the WCSC community holds so dear?